For the last decade or so, I have been traveling the back roads of Italy in search of exquisite, but little-known wines. Imagine my delight when a few years ago I discovered the stunning wines of Cantina Giba, located just 25 miles from my summer home on the island of Sardinia. Perched above the sparkling Mediterranean Sea, in the arid southern Sulcis region, Cantina Giba’s vineyards are planted with ancient vines, most over 100 years old. From the first time I sat in their cozy tasting room and sampled their flagship Carignano red wine, I knew I had to share this wonder with my friends back in the States. It took me close to 10 years to make that dream a reality, but in 2018 at VinItaly (the international wine show), I convinced Cantina Giba’s owners and winemaker that I was the right person to share their wines with my American friends. 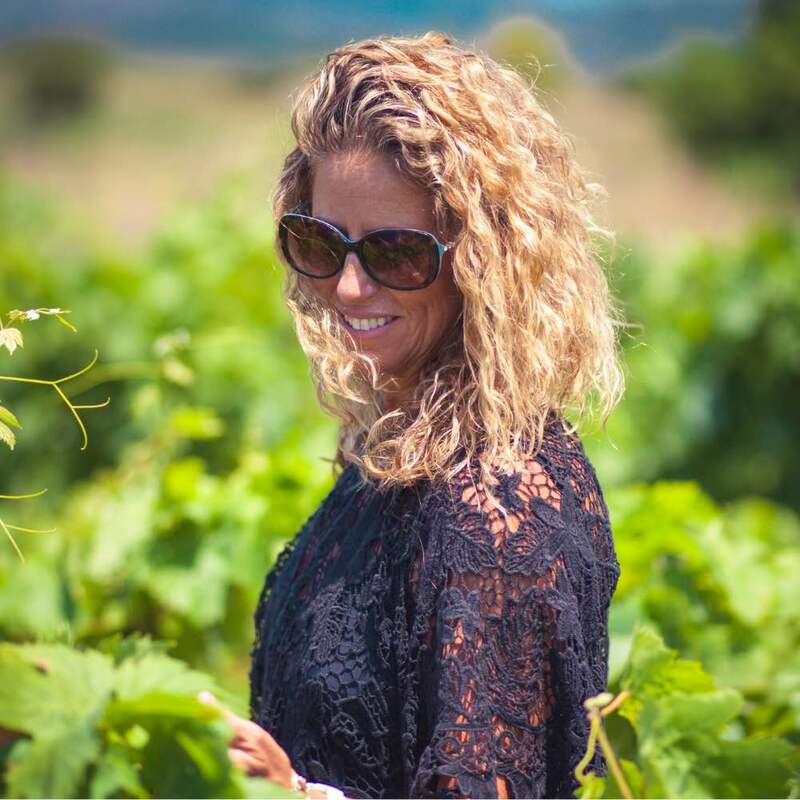 I urge you to sample their small batch reds and rosés and their ultra-small batch Cantina Giba Sei + Bianco (only 175 bottles produced), and you will see why I am so excited to share the wines of my talented Sardinian neighbors. 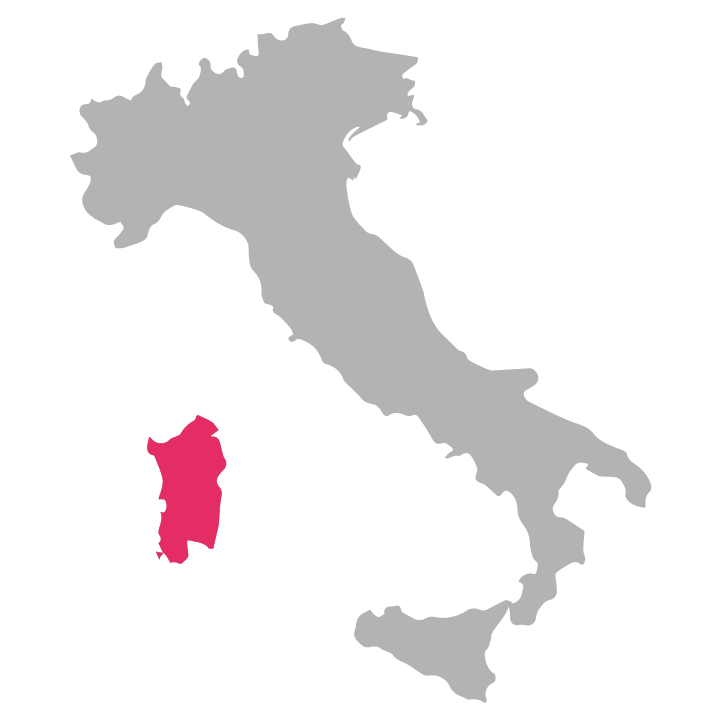 Located on the southern tip of the isle of Sardinia, off the Italian coast, lies the tiny Carignano DOC growing region that is home to only five producers. Cantina Giba is one of the smallest wineries in the region, crafting just 100,000 bottles a year. The beautiful vineyards of Cantina Giba are nestled perfectly away in the mountains of Sardinia. Due to the harsh growing environment, the Carignano vines are grown low and compact and have to be hand-harvested. The slow-picked, modest-yield harvest, produces grapes rich and complex in flavor. Bringing out the most from that flavor is the passionate task of head winemaker, Andres Garcia Blas. Andres, who was born in Spain and married to a Sardinian woman, brings a unique perspective to his wine making. One example of his innovative flair can be found in the production of their Cantina Giba Sei + Bianco. Here Andres has chosen to age his wine in oak barrels where the juice is exposed to a “veil of Flor” (a layer of indigenous yeast cells that forms a waxy foam, up to two centimeters thick, that protects the wine from air contact) a production method usually reserved only for sherry wines. The result of this Spanish style winemaking method, is a very unique flavor profile you have to try, to appreciate. No matter which varietal Andres is working with, there are certain constants you can depend on from Cantina Giba wines. They will always be hand-crafted, with no chemicals and minimal sulphites. They will be true to the nature of the varietal not blended, nor contain grapes outsourced from other regions of Europe. With each sip, the flavor of the Sulcis region comes alive. You can almost feel the Sardinian sun on your shoulders and smell the salt sea air, just like I did the first time I tried their wines more a decade ago.